If you’ve been arrested for a felony or misdemeanor in Orange County, then you may be required to pay a pre-arranged bail amount to “bail out” of jail. Some misdemeanor offenses do not require you post bail since most of the arresting agencies release you after 6 hours. For instance, if you were arrested for DUI, then the arresting agency will release on your own promise to appear in court. However, other misdemeanor offenses may require you to post bond. For example, domestic violence disputes where your accuser suffered bodily harm. In any felony arrest, you will not be allowed to be released from custody unless you pay the bail amount. However, upon showing up to court in custody, your lawyer may request you be released on your own recognizance which will not require you to pay money to be released. Note that it is your constitutional right to be arraigned before a judge within 2 days of your arrest or you must be released. As mentioned above, a felony arrest requires you to post bond. For example, if you were arrested of possession of narcotics with the intent to sell, the arresting agency will set your bond amount at $20,000. You must post the full amount if you wish to be released from custody. 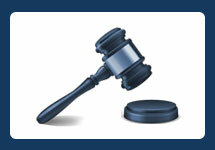 If you may the full amount, the entire amount will be refunded to you 8 to 12 weeks after the conclusion of the case. However, you may retain a bail bonds company to post the full bail amount for you. Most bail companies require you to pay 8 to 10% down. For instance, if you pay the bail company $2,000 of the $20,000 bail amount, the bail company will raise the money and you will be released. The only difference is that once your case has concluded, you will not receive the $2,000 you put down towards bail. After posting bond with the arresting agency, it usually takes a few hours to process. If you bail out before your arraignment, the arresting agency will issue you a court date to attend. Failure to appear on that date will result in the court issuing a bench warrant. Consequently, your bail will be revoked and chances are, you will not be able to bail out. In addition, you may have to pay the entire amount to the bond company. 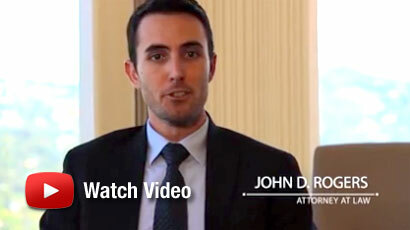 For more information about bail or if you’ve been arrested or charged with a criminal offense in Orange County, contact Orange County Criminal Defense Lawyer John Rogers at the Law Offices of John Rogers for a free consultation.